SYSTEMA recommended the open source tool called District Health Information System (DHIS2) as the mechanism for the submission of PhilHealth data. 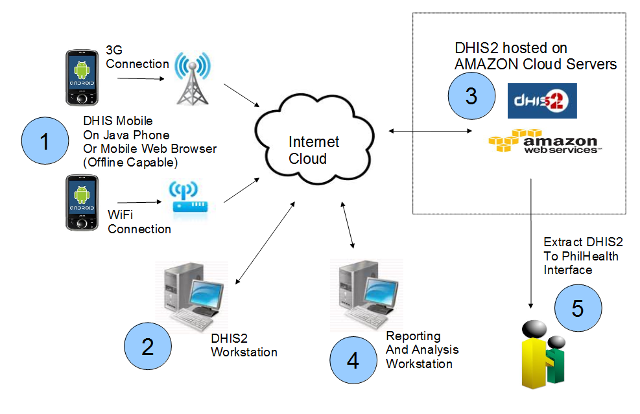 DHIS2 was selected, because of its strong track record of successful implementations all over the world. To save on cost, the system was installed and configured on AMAZON's EC2 cloud servers.